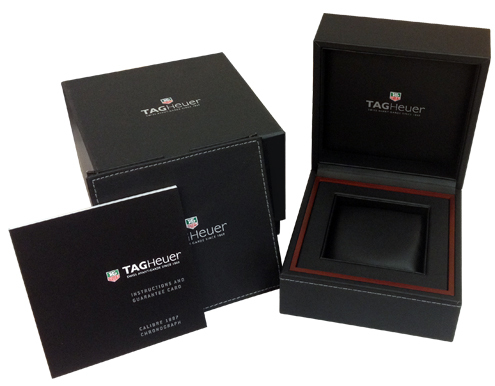 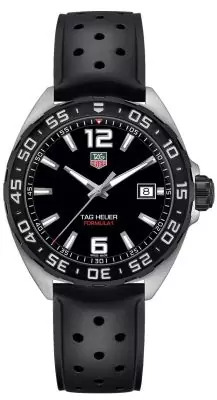 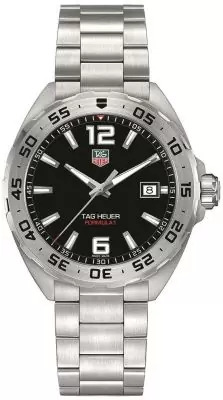 The comfortably sized 41mm TAG Heuer Formula 1 watch with a fine brushed stainless steel case and matching linked bracelet (with a diving extension) is water resistant to 200M.The unidirectional bezel is PVD coated with raised fine brushed steel number, and matches the fine brushed steel and PVD coated screw-in crown. 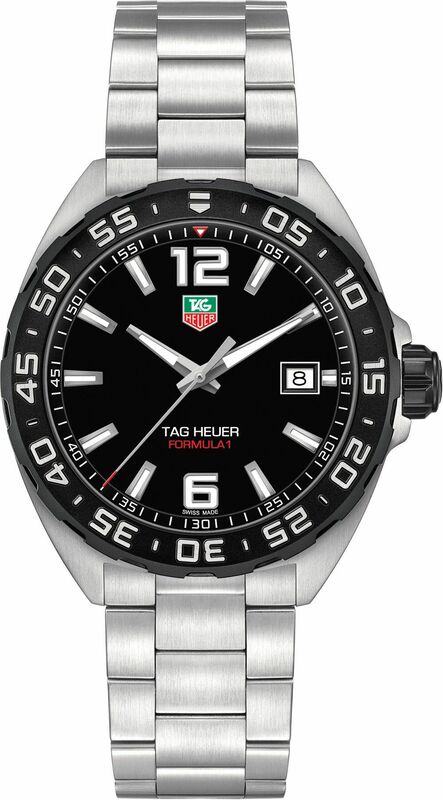 Under the Scratch resistant sapphire lies the minimal but bold black rhodium plated dial with luminescent indexes. 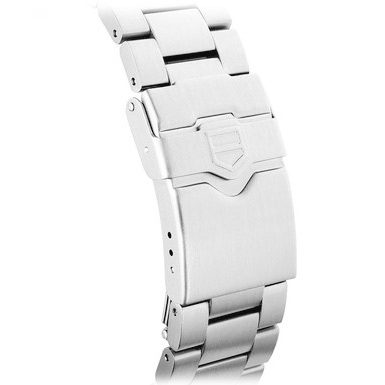 Powered by a reliable Swiss quartz movement with an "End of Life" battery indicator.